Yamaha Corporation of America (YCA) has appointed Nithin Cherian to the position of marketing manager for the Live Sound department, effective immediately. Nithin will report to Athan Billias, director of marketing, Pro Audio & Combo Division at YCA. “Nithin’s knowledge of the live sound landscape and his product marketing background will help Yamaha continue to grow this important market segment in the future,” said Billias. Before joining Yamaha, Nithin held the position of territory manager at AudioPros, an independent manufacturer’s firm that represents sound reinforcement brands for music retail, live sound, commercial and installed sound markets, where he won several sales awards. He also served as a consulting engineer for studio and live recording, mixing, editing and sound system design. Other prior experience includes roles of increasing responsibility at House of Guitars, Inc., in Rochester, New York, where he grew their Keyboard and Pro Audio departments into one of the preeminent outlets in the northeast. 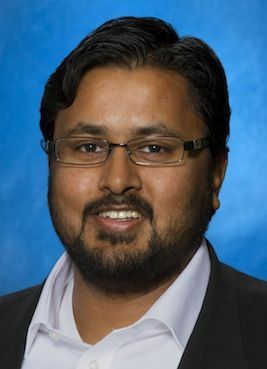 Nithin earned an Executive Master of Business Administration degree at Rochester Institute of Technology and a Bachelor of Science from the University of Illinois at Urbana-Champaign, where he majored in electrical engineering.